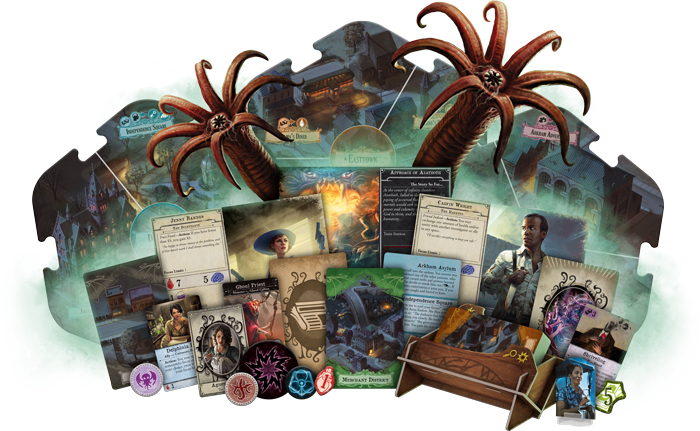 Announced at Gen Con yesterday, the Arkham Horror 3rd Edition Board Game differs substantially from the 2nd edition – better called a “new game in the same universe,” this is going to be worth a look for genre fans and people who love a good co-op! Pre-orders are for local pickup only. 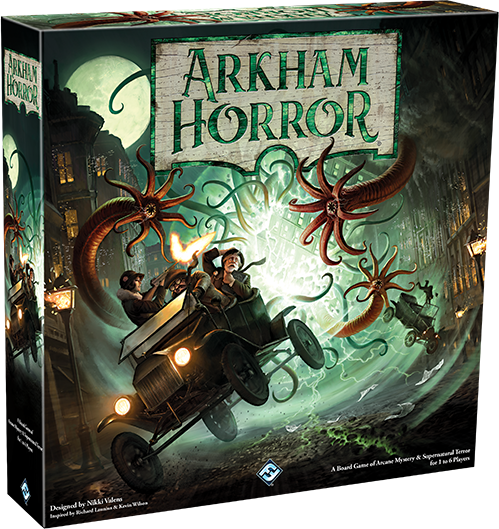 Arkham Horror 3rd Edition is slated to release in late 2019. 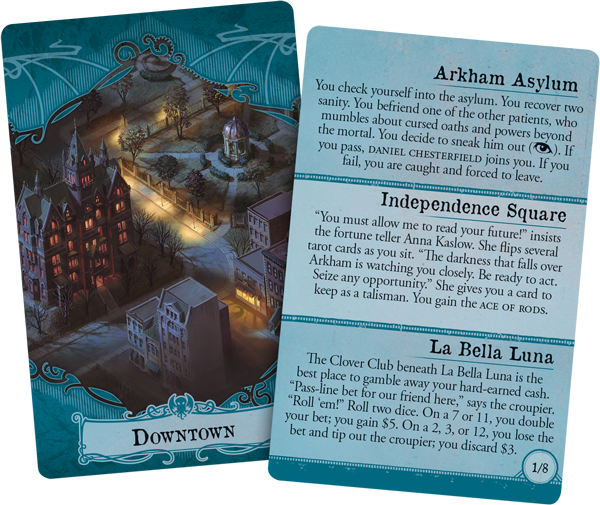 Pre-orders will receive a copy of the Forgotten Lore book, a hardcover promotional set of rules for Arkham Horror 3rd Edition (details forthcoming)! 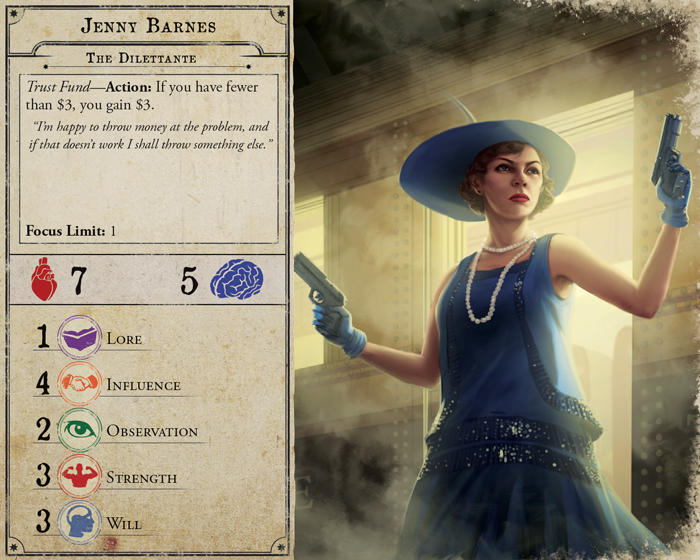 Jenny Barnes is one of Arkham’s most prolific and recognizable investigators, so it’s only natural that she makes an appearance in Arkham Horror Third Edition! 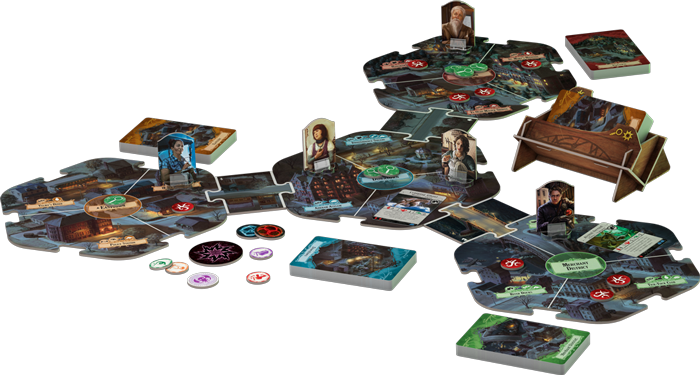 She’s joined by eleven other investigators, many of whom will be familiar to players of Arkham Horror: the Card Game or Mansions of Madness Second Edition. It is these heroes who will provide a light in the darkness, who will stand against the terrors of the unknown, and if fortune favors them, will succeed in saving Arkham and the world. It’s not simply a matter of closing gates to other worlds and hoping that the problem goes away. 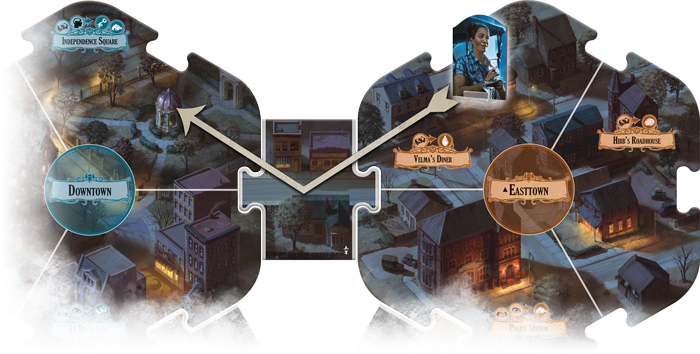 At the start of the game, the exact goals of your scenario are a mystery to investigators and players alike. 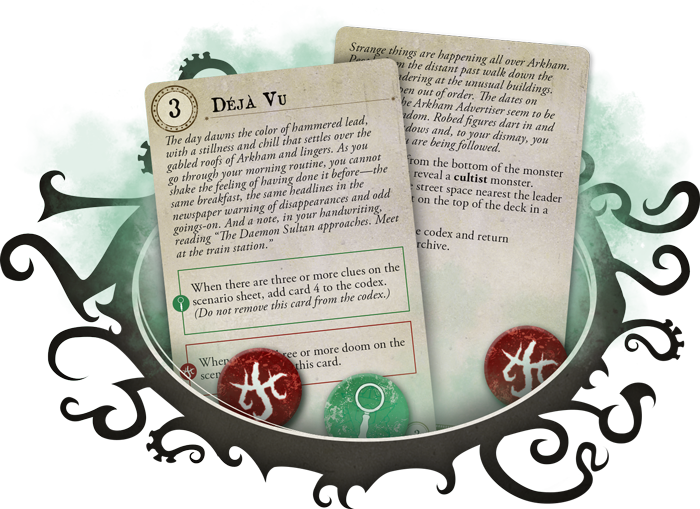 As a scenario progresses, archive cards are added to a codex that sits above the board. 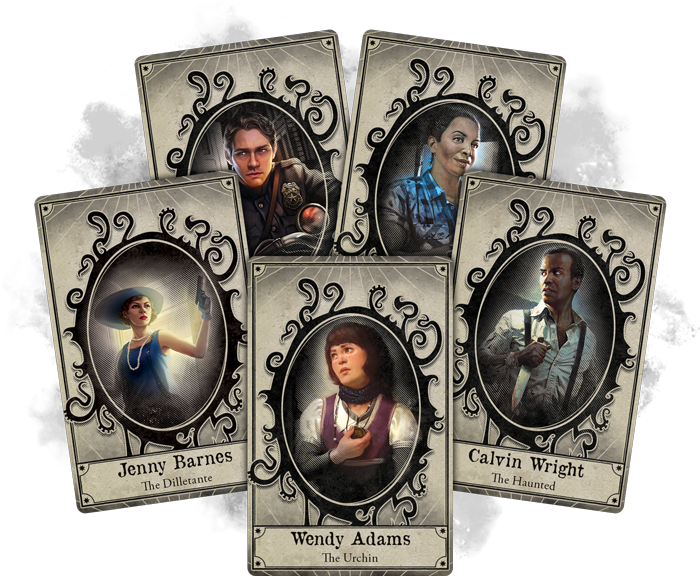 Each of these cards advances the narrative and offers new objectives for the investigators to strive for, with victory eventually in sight. Finding clues may lead to favorable new archive cards, while the spread of doom may reveal cards that were best left unearthed. Ultimately, the choices that you make and the specific events of each scenario lead you down branching paths, encouraging you to explore the scenarios and determine the best way to achieve your unique goals! No matter which scneario you’re embarking upon, investigators will have to stay ever-vigilant. 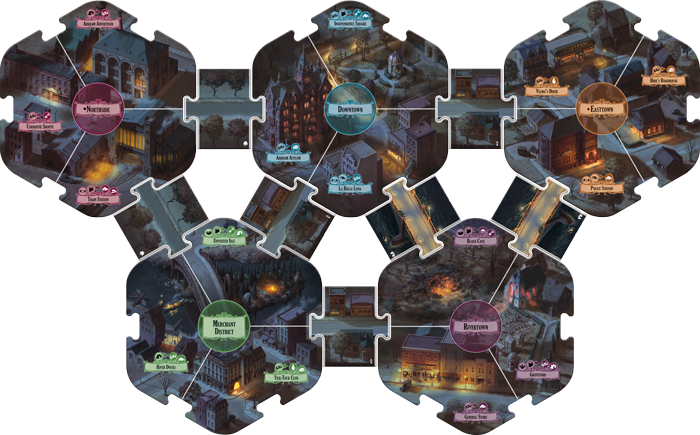 Moving around Arkham to discover clues will progress the scenario, but our heroes will also fight and evade monsters, gain resources, perform tests of skill, and more. Still, you won’t be alone; you and your friends will work together to defeat this unknowable evil and, by some miracle, you could come out victorious. After you’ve acted, the Monster Phase sees your darkest nightmares come to life. 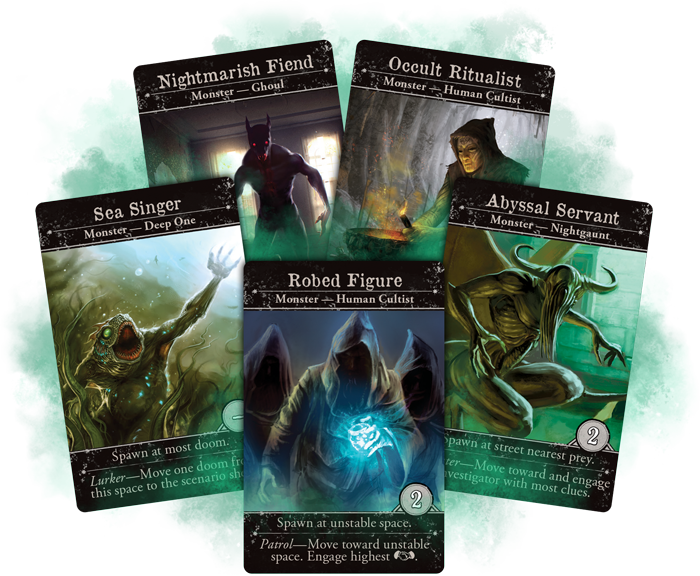 Monsters roam freely about the city, attacking investigators both physically and mentally, instilling fear and disrupting your carefully laid plans. 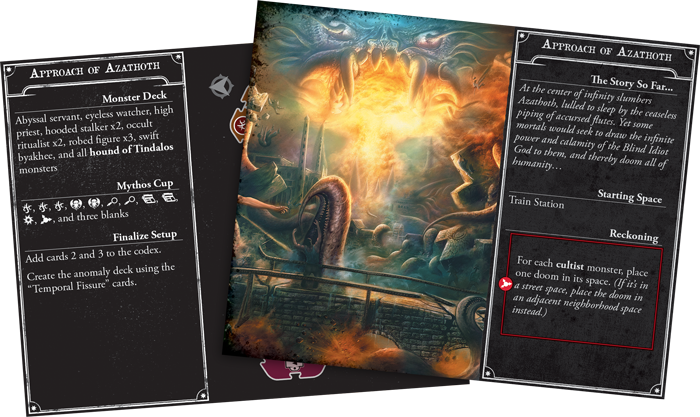 Fans of Arkham Horror: The Card Game will instantly recognize this phase and understand the horror it brings.